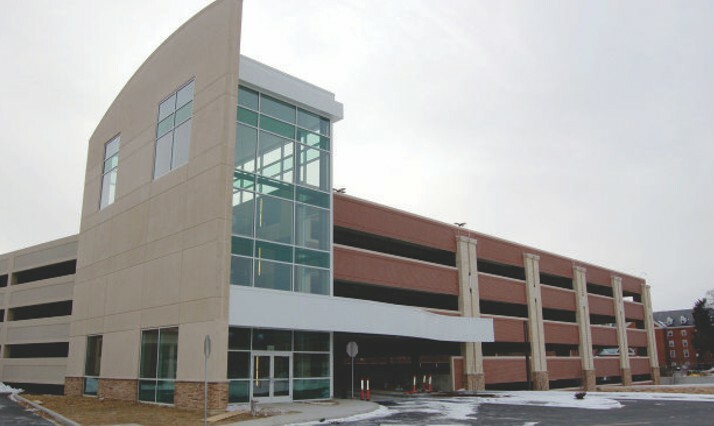 After a successful improvement program at several locations within the Frederick Memorial Hospital and a new heliport construction program, Quandel proceeded with the construction of a new 402-car parking garage expansion. 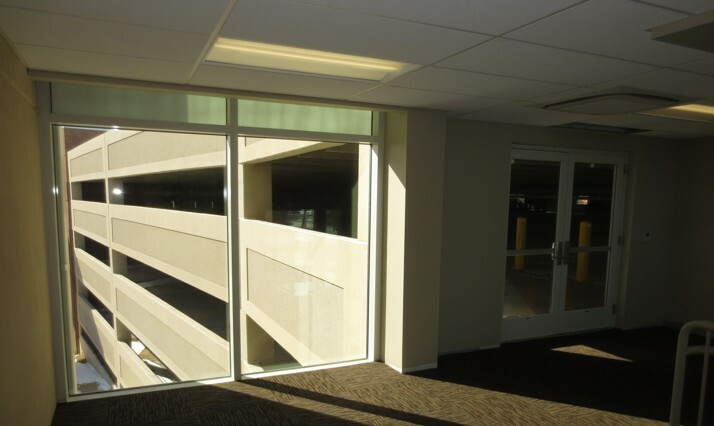 The new structure, built at the location of the previous helipad, connects to the existing garage at all levels, greatly expanding the Hospital’s parking capacity. Thirty-five caissons, ranging in diameter from 30 inches to 72 inches had to be drilled and installed prior to foundation construction. 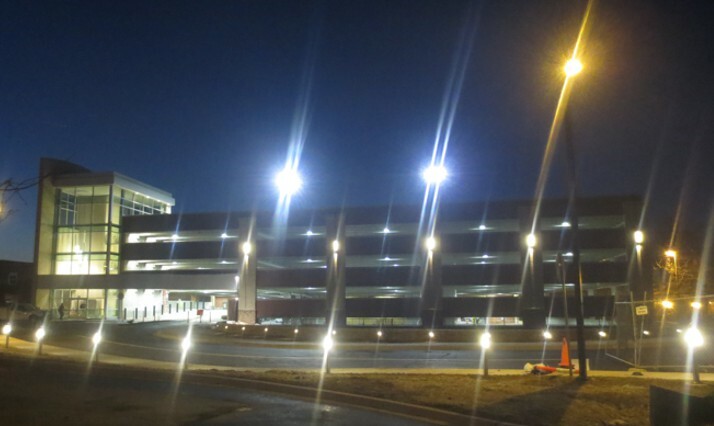 The improvement program also included enhancements to the main entrance road, new traffic signalization. A new underground storm water management system was installed. Three bio-retention structures were built as part of the storm water upgrades. 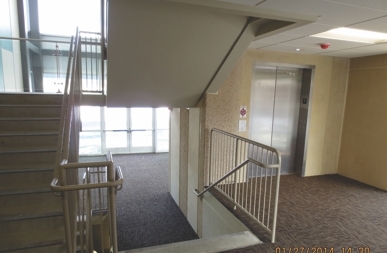 Electrical improvements include a new duct bank for the Hospital’s electrical and data services, to enable construction of the new addition. 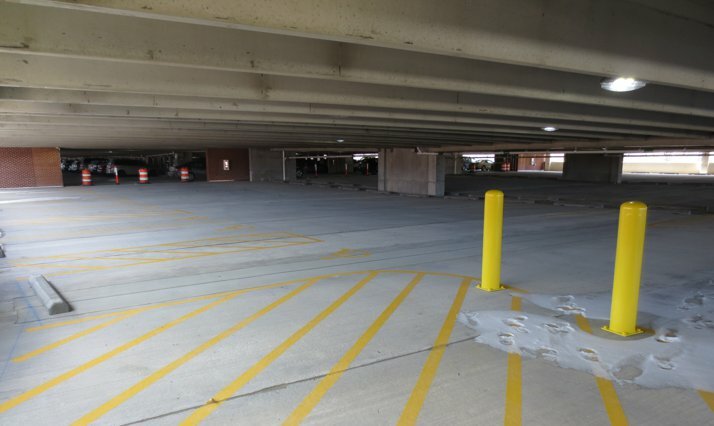 Lighting within the existing garage were replaced with LED fixtures for energy efficiency, matching lighting fixtures within the new garage. 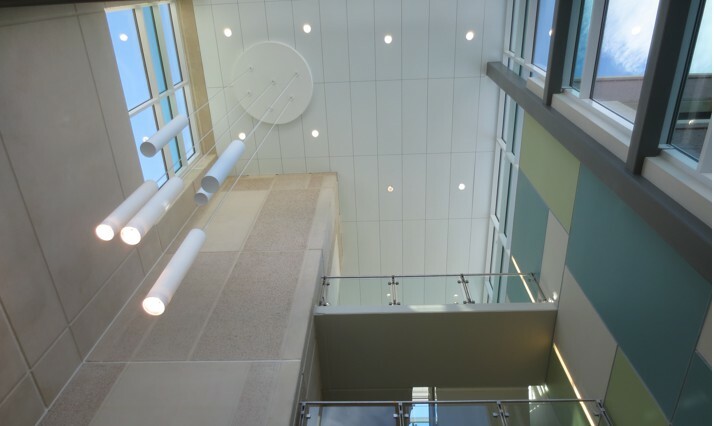 All of the work occurred in the midst of the Hospital campus and was completed in 17 months.